Chess enthusiasts were given the chance to meet their chess heroes, watch them play live classical chess, participate in simultaneous exhibitions and partake in numerous side events determined by the host city. If fans are unable to attend any of these events, they could watch world-class commentary online. Unsurprisingly, the tour resulted in a breath of fresh air in the chess world. The expanded 2016 Grand Chess Tour now consists of four stops and, unlike its predecessor that provided only classical game formats, includes rapid and blitz tournaments. A rapid game is played in 25 minutes with a 10 second increment while a blitz game is played in 5 minutes with a 2 second increment. 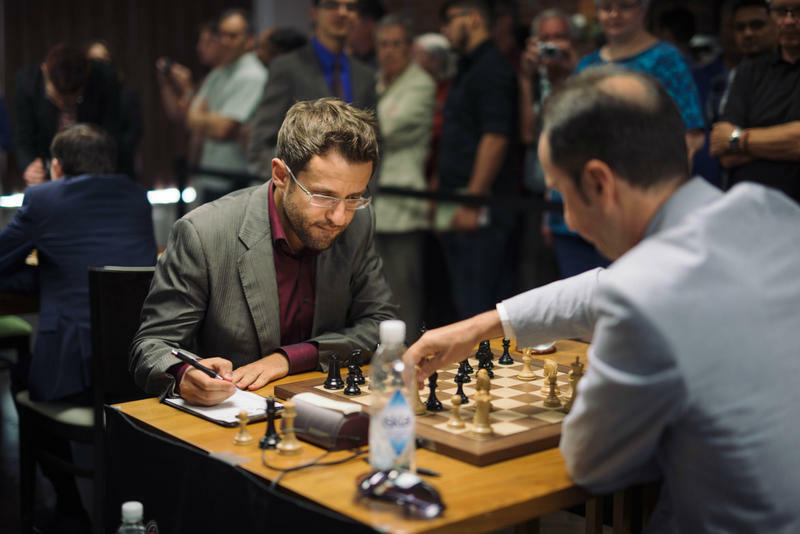 The first leg of the Grand Chess Tour was played June 9-12 with the Paris Grand Chess Tour; the second will be in Brussels-Leuven, Belgium June 17-20 with Your Next Move. The third stop on the tour is the Sinquefield Cup in St. Louis Aug. 4-16, and the final leg takes place in London Dec. 8-19. The top players will battle it out for the next six months for a total of $1,050,000 in prizes. The Paris Grand Chess Tour ended several days ago with some of the most exciting games between the world’s best. Chess fans are already anxiously waiting for the second leg to begin. The faster time controls brought all the excitement and wildness the spectators could have asked for and, of course, attracted the top players in the world. The games were played on a beautiful stage at Maison de la Chimie and attracted over 400 spectators. GM Hikaru Nakamura – USA, 4-time U.S. champion, No. 2 in the U.S.
After four days of hard-fought games, heartbreaks, brilliances, and – in some cases – illegal moves, America’s Hikaru Nakamura emerged victorious with two rounds to spare. The entire event was a close race between the American and World Champion Magnus Carlsen, but with two games left, Nakamura was 2.5 points ahead and could no longer be caught by Carlsen. Nakamura is considered to be one of the best blitz and rapid players in the world, and he proved his reputation to be true by only losing three of 27 games. Two of those losses were delivered by the world champion himself. Nakamura collected $37,500 and 13 Grand Chess Tour points for his efforts. The rest of the games included many shocking and awe-inspiring events in almost every single round. One of the most unbelievable moments happened when former FIDE world champion, Veselin Topalov, made an illegal move by promoting his pawn incorrectly and forfeiting his game. In the second day of the blitz tournament, former world champion Vladimir Kramnik only collected 1 point in 9 games, with no wins. Kramnik was nicknamed “Drawnik” for having too many peaceful results, so it came as a shock to see him lose game after game. Current U.S. Champion Fabiano Caruana had a disastrous start by losing all his games in day two of the rapid format, but recovered quite nicely in the blitz portion by scoring several points and even beating the current world champion. The local Parisian, Maxime Vachier-Lagrave, was inspired to be playing in his hometown and finished in third. Vachier-Lagrave and Fressinet received applause from the audience every time they won a game! The Grand Chess Tour will now move to Leuven, Belgium, for the Your Next Move tournament on June 17 with two days of rapid and two days of blitz play. The chess world waits with anticipation to see whether Nakamura will be able to continue his dominance in these faster time controls or if Carlsen prevails this time. Historically, Nakamura has never won a game against Carlsen in a classical tournament. The big question now is whether or not Nakamura can overcome this spell Carlsen has on him due to the different formats provided. Another exciting addition to the Leuven leg is the participation of the former five-time world champion Viswanathan Anand in place of the Paris wildcard, Laurent Fressinet. As one of the best rapid players in the world, Anand is only going to make the race to the finish line tighter and more challenging for Nakamura. If Leuven is anything like Paris, the chess world will be on the edge of their seats for four days watching this nail-biting event. The action begins Friday at 2 p.m. (7 a.m. CT) at the historic town hall of Leuven. Viewers can watch the games online as they will be broadcast live from the Chess Club and Scholastic Center of Saint Louis, led by the world-class commentary team of GM Yasser Seirawan, WGM Jennifer Shahade and GM Eric Hansen. GM’s Maurice Ashley and Alejandro Ramirez will give you a firsthand experience with their on-site reporting and player interviews. Watch it all live on www.grandchesstour.org. At the beginning of many prestigious chess tournaments, players sign their name on particular light squares of commemorative chessboards, often with no intent beyond the thought, “On which square will my signature appear most elegant?” or, “Which square is left to sign?” And yet, specific squares hold so many memories of sacrifices both successful and failed as well as nightmares of a sacrifice or in-between move.